With no time to go out and buy more and wanting to finish, I started thinking……and it came to me……. a sock (did not work, too small & did not stretch enough). Then I found a fuzzy sock. It was very simple…..no cutting, no sewing. 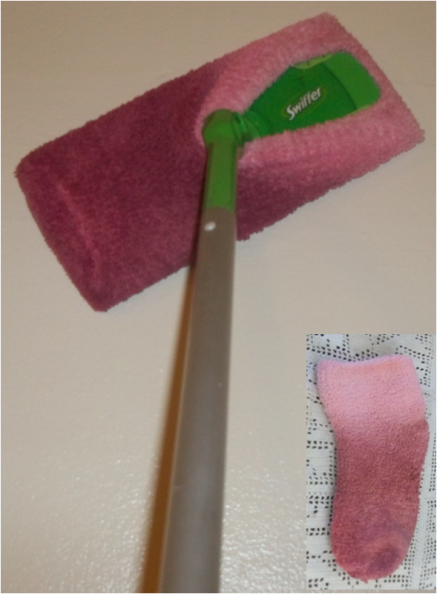 Take the fuzzy sock, slip on your swiffer, and you are done! Great for dusting floors and walls. Socks without a matching pair have a new use plus is washable and saves money.